Construction zones, which are commonly referred to as Cone Zones, present hazards for both drivers and construction workers. 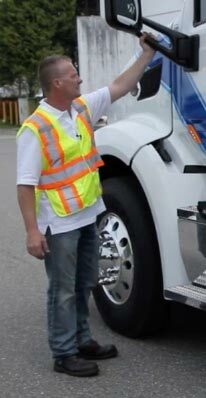 Drivers will encounter construction vehicles and workers everywhere, regardless of the season or weather. Roads wear down after extended periods of use, and reconstruction is a necessary aspect of caring for our infrastructure. Encountering construction workers and their vehicles are a mainstay of the learning to drive and the overall driving experience, and every year needless altercations, close calls, and traffic jams associated with navigating through construction zones prompts a need to remind drivers of the important roles that they play. In this post, we’re discussing how to share the road with construction vehicles and roadside workers. Summer may show an increase in construction zones and road work but that doesn’t mean construction comes to a grinding halt in the fall and winter. The first step in safely sharing the road is looking ahead for indications that construction and road crews are present. A typical construction zone will have numerous visual cues to remind drivers that the work ahead is likely to impede or slow the flow of traffic. This could mean overhead work on an apartment building or a condo, traffic light infrastructure being worked on overhead, or various public works departments working on underground sewer, water, or public transportation projects. Construction zones can also mean lane closures and reduced speed limits so looking ahead and planning to adjust for constructions zones, traffic control devices, and workers, will reduce incidents and ensure everyone’s safety. Locations with potential for excessive traffic congestion due to construction, and areas with high overall traffic volume could mean construction taking place at night. ICBC’s Learn to Drive Smart Manual points out the importance of remaining alert and receptive to speed limit changes within construction zones during nighttime driving. Signs, high visibility cones, barrels, or barriers; construction vehicles, and construction workers will signal the need to slow down and proceed with caution. In BC, between 2008 and 2017, twelve construction workers lost their lives and another 218 were injured on the job as a result of dangerous or reckless driving. Ignoring speed limit changes and space margins are the main causes of construction zone accidents and injuries today. 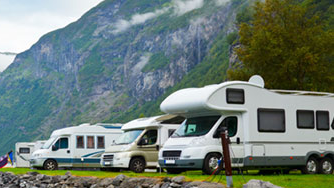 Drivers are required to slow down and move over for police, fire, ambulance, tow trucks, maintenance contractors, Commercial Vehicle Safety Enforcement vehicles, park rangers, and conservation officers. Travelling on a road that has a speed limit of 80 km/hr or more, drivers must slow down to 70 km/hr. When there is a posted speed limit under 80 km/hr, all drivers are required to slow down to 40km/hr. These are the speeds to follow unless otherwise posted. You may also find that going slower is the right thing to do for the specific situation. When you come across any indicators there may be construction ahead, you should adjust your driving behaviours. 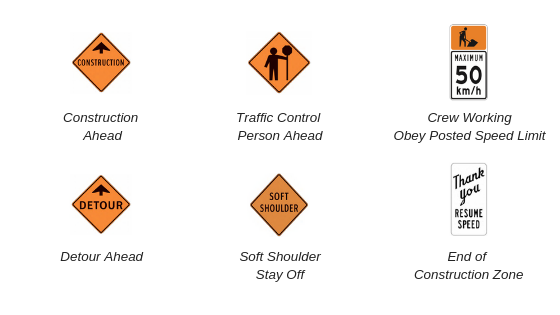 Take extra caution through Cone Zones, obeying all construction signs and instructions provided by a worker or flagger. Instructions provided by a flagger overrule other road rules, such as traffic lights, lane positioning, and traffic flow. Construction zone speed limits are in effect 24 hours, day and night, when posted. Even if it is the middle of the night and you don’t see flaggers or workers, if the construction zone speed limit is posted it is still applicable. Staying within the correct speed limits will ensure that you do not receive any traffic violations – the fees for which are double than when outside a construction zone. Plan ahead for construction in your area. You can check the radio, television, and websites for current traffic and construction conditions. Try an alternate route that does not have active construction, and if you must travel through construction zones: stay patient, expect delays, and give yourself some extra time to get to your destination. Remember without these dedicated employees, and the machinery they depend on to get the job done, we’d have no roads, homes, or public infrastructure in the first place. Respect the Cone Zone and give workers the space they need and deserve to get their job done safely. 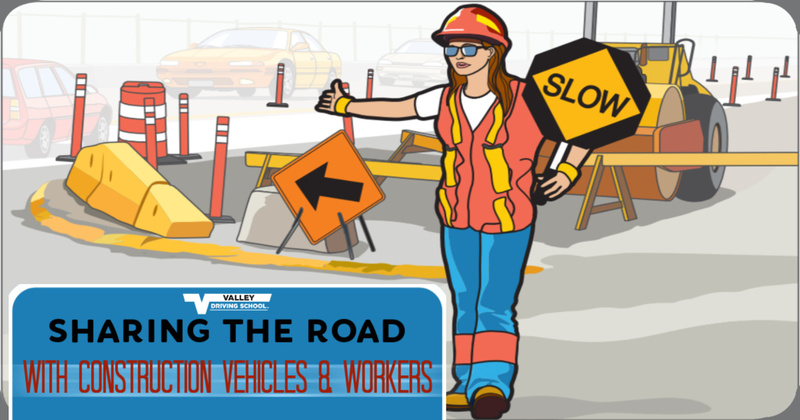 Understanding how to share the road with construction vehicles and workers will ensure everyone gets to their destination without incident and will allow workers to safely get through their day.